Last week saw the ending of one geeky era and the beginning of another. First the ending. For the past ten(?) years, Grant Imahara, Kari Byron, and Tory Belleci have been entertaining and enlightening us by busting myths alongside Jamie and Adam on Mythbusters. They brought life to the Hwacha, showed that the Ewoks really could crush an AT walker with logs, and proved that you really can catch a greased pig. Now, however, the announcement has gone out that the Mythbusters will go in a new direction – or, rather, and old one. In the beginning of the show, the focus was on Jamie and Adam. Now, Kari, Grant, and Tory are leaving so the focus can move back to just Jamie and Adam. This might wind up being a good thing. Perhaps, fewer myths will be tested but with more depth shown per myth. Or, maybe they will just cram more fluff into each episode to fill the time left vacant by the loss of "the Build team." Given how good they work together, I’m hoping that Discovery Channel gives them their own show. I’m not sure what they could do, but I’m sure there’s plenty of topics that they could cover involving science and requiring interesting builds. Whatever they do, though, I wish them luck and can’t wait to see them in action again. In happier news, a new era of geekiness began on Saturday night. That’s when Peter Capaldi officially began his reign as the madman in the box on Doctor Who. Yes, Capaldi has now begun his turn as the twelfth Doctor. Though, depending on how you count, he might be the thirteenth Doctor. It’s all very wibbly-wobbly. Without giving too many spoilers, I found Capaldi’s first episode good, but uneven. It’s hard to get a handle on a Doctor’s first episode post-regeneration. As each Doctor regenerates, he takes some time to get to know what kind of person (Time Lord) he is. So we can’t quite tell from the first episode how the new actor will be. With Matt Smith, it took me until his fourth episode before I accepted him as the Doctor. I did, however, think that the first Capaldi episode was a good "bridge" between Matt Smith’s Doctor and Peter Capaldi’s Doctor. 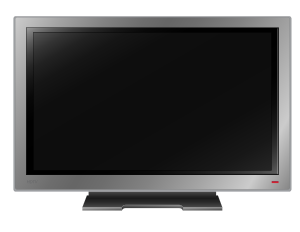 NOTE: The "Hi-Def Television" image above is by bnsonger47 and is available via OpenClipArt.org.